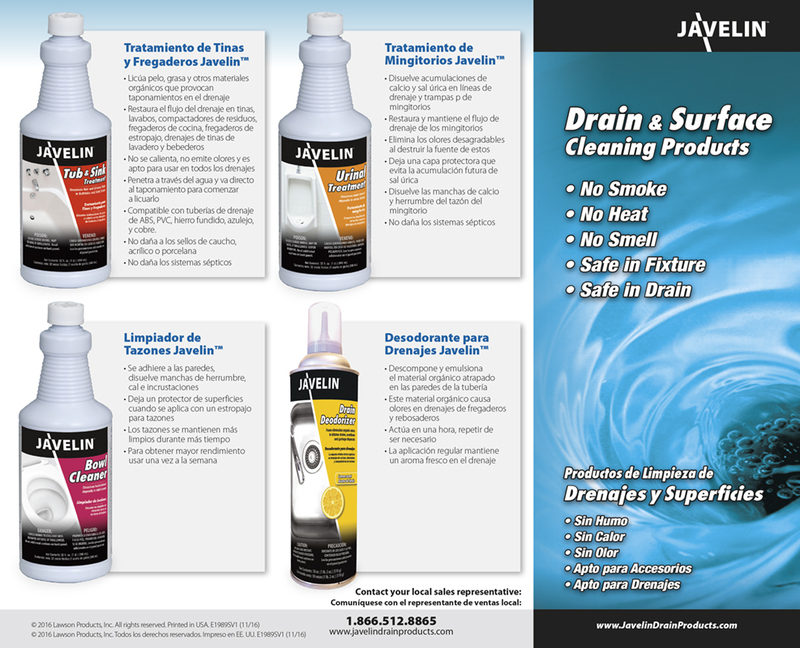 Javelin is a Lawson Products private label brand of plumbing chemical products. 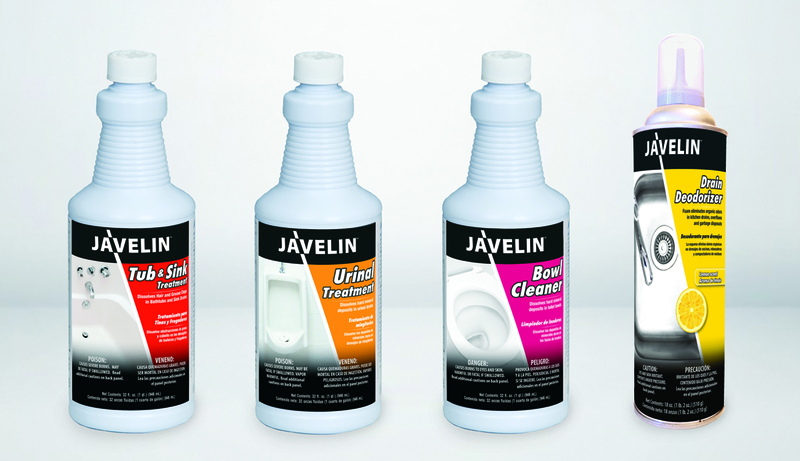 Originally this brand was sold in Canada but I was tasked to help develop materials for a USA product launch campaign. It was definitely an organization challenge, particularly at the beginning because there were so many components including: brochures, flyers, product packaging, in-store displays, signage and more. 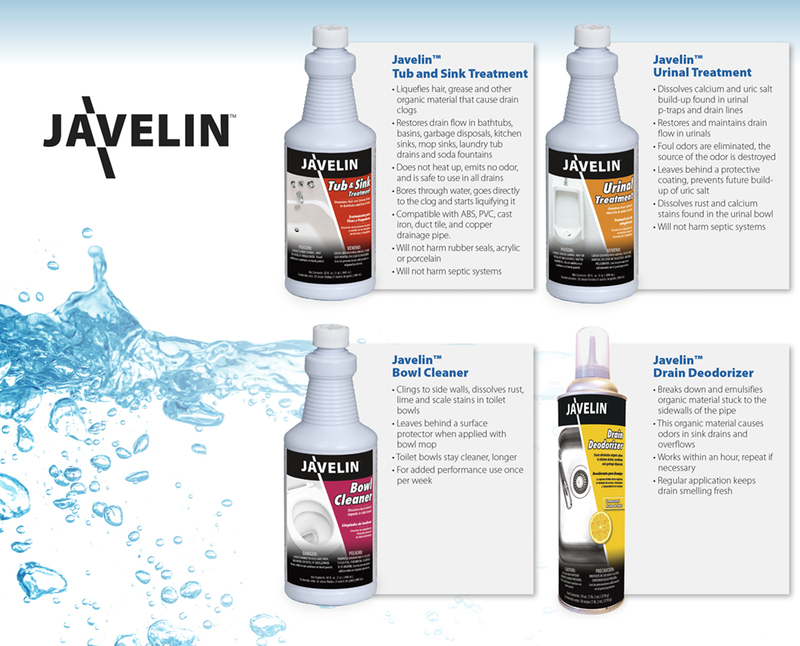 These all needed updated to serve the USA market. As a way to manage all the various facets of this campaign, I created a central folder and assigned each sub component a number to help track them throughout the review/revision/translation process. I guided my associate designer on this project and trained them in this system so that we both maintained it over the many months of the project. This enabled us to respond quickly at each stage because we knew where everything was stored. My contribution was overall branding and creative design concepting and direction as well as organization. 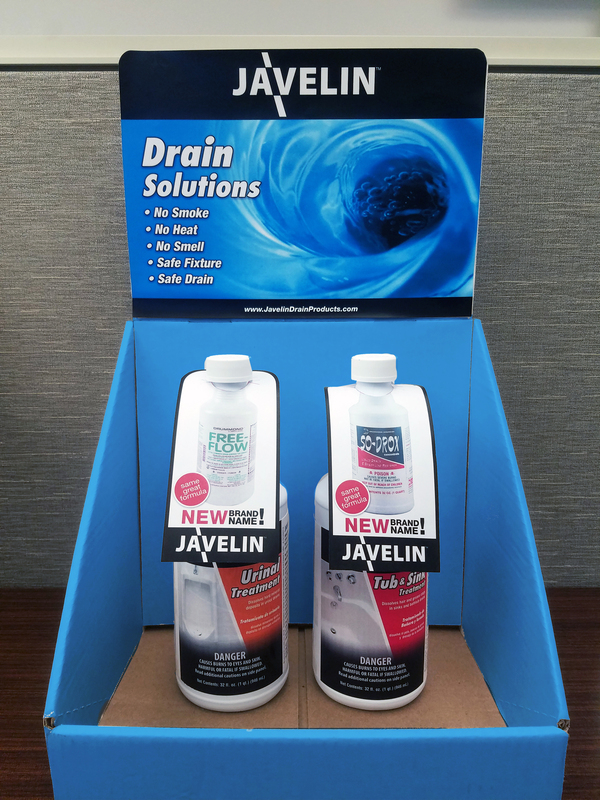 The result was a successful product launch that has increase sales and made the dynamic product line available to a new market of customers.